Remember when the Affordable Care Act was under attack in Congress? 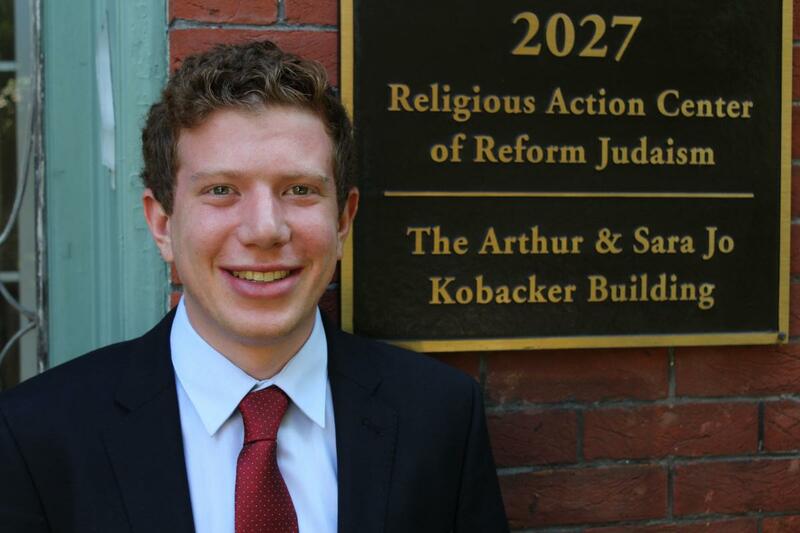 Nathan Bennett of the Religious Action Center of Reform Judaism helped coordinate the passionate interfaith defense of the program that provides and protects healthcare for millions. 1. What do you consider the most important healthcare work that you do? NB: I think there are two components to my work that are the most important. First, working within the Reform Jewish community to motivate people to take action on issues that are important to our shared values. When it came to defending the ACA, rabbis in key communities spoke out and participated in town halls, and members of congregations met with or called their members of Congress. Even high school students were actively working on the issue with us. The second part of my work that is important is collaborating across faith traditions with our partners in Christian, Muslim and other religious communities. Whatever our differences in doctrines and traditions, we share the core belief in the dignity of every human being. And that means we share a commitment to the principle that every person deserves care, regardless of whether they were born poor, or with a chronic health condition, or with any other barrier to the treatment they need. 2. What motivates you to do your healthcare work? NB: To me, much of Judaism comes down to a commitment to community. And much of that expression of community is connected to health issues. I learned that through my own family’s experiences. When I was in fifth grade, my mom became sick. Members of our community cooked meals for us, prayed for my mom, and made sure I had rides to school. In my view, that kind of community support is faith and religion at its best. In the ACA repeal fight, we were able to connect the dots between that kind of personal, community-based service by persons of faith and the advocacy needed to defend the healthcare coverage that so many people rely upon when they are sick. 3. What are the biggest challenges you—or those you care for—face? NB: Healthcare is such a complex issue, in part because it impacts every person somewhat differently. And it is a big, complicated system. So it is a challenge sometimes to help people realize that they can make a difference if they take advocacy action. In the ACA repeal struggle there was a wide range of people from all types of communities working hard to defend the law, but there were powerful political interests lined up against us. There were plenty of times when it seemed like those powerful interests would win, and the repeal of the ACA was going to happen. What is also a challenge for our work is that winning the fight to preserve the ACA is not enough. It was the best we could do at that time in history, but there are still millions of people who are without access to medical care. So there is much more to be done. 4. What do you think the U.S. healthcare system should look like? We acknowledged then what is true now: there are a lot of approaches being discussed for how to accomplish this. We are not married to any one proposal. For example, the ACA was not and is not perfect, but it did improve things and it did expand care. Realistically, accomplishing that universal coverage goal will take substantial expansion of the government role in the system. There are different ways to get there. But we recognize that most people could care less about the details of the specific proposals—they care more about protecting people’s lives. And that is our priority, too. 5. What role do you see people of faith and faith communities playing in making the needed changes? NB: When someone faces a medical challenge, people of faith already play a key role. They help bring people to the doctor, they take over meals to homes, they make sure that basic needs are covered. Faith leaders and communities are intimately involved in people’s lives. That direct service is important, because advocacy is best done when it connects the dots between the personal and the policy. We like to amplify the notion of the dignity of every human being. Consider the fact that coverage for people with pre-existing conditions may be at risk. Across all faiths, none of us are taught to believe that some people deserve healthcare and others do not. We are taught to believe that all people are created in God’s image. When we express those shared moral beliefs, and when we bring our own personal experiences of direct service, people of faith can be extremely impactful in larger policy debates. Action Opportunity: National Nurses United has provided dynamic leadership of the Medicare for All movement, including a Week of Action February 9th-13th featuring local “barnstorms.” Check out the map here of the 300-plus scheduled barnstorms to find one close to you. Health Insurance Costs Worsen Income Inequality: We know the cost of health insurance has been rising, and we know income inequality is increasing. Turns out they are related: a study by the Council on Affordable Health Coverage shows that low and middle-income workers are paying higher percentages of their incomes for health benefits, and those costs are swallowing up any overall wage gains.